I decided to use coconut oil on my hair as a treatment. After i posted on Twitter that i had used olive oil, many of my lovely followers recommended coconut oil! I used pretty much the same method as my Olive Oil hair treatment. 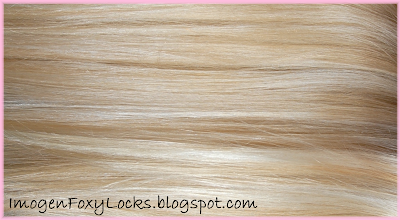 Starting with dry hair, i prefer to have dry hair as it will absorb the oil better. Using pure coconut oil (which starts off as a solid until melted) put a chunk of it in between your palms, keep rubbing until it forms an oily liquid. This does take a little time. Once melted apply the oil from root to tip, concentrating more on dry ends. You will need to repeat this a few times until you get a good covering all over your hair. The smell is gorgeous, i wanted a pina colada as soon as smelt it! My hair felt softer as soon as i applied it. You might find it easier to part your hair in sections to make sure you cover every part. Once you have covered all your hair, twist your hair on top of your head and apply your shower cap and hair towel, i use both as by the morning the towel is nearly off my head! Leave the oil on overnight. when you shower you will need to wash thoroughly. I only shampooed once, but i made sure i massaged the shampoo in everywhere. Always apply conditioner to the ends of your hair, and your done! It doesn't matter what i use, after i wash my hair it will always be tangled when wet, i think it has a lot to do with the bleach in my hair. Anyway, after blow drying my hair felt fabulous. It felt nourished and surprising tame. My hair isn't frizzy or curly but i find sometime after blow drying it can be slightly 'poofy'. I didn't even need to straighten it as it was so smooth and silky. I will definitely be using this treatment again, i will try and use it every 2 weeks along with olive oil treatments. Make sure you use a PURE coconut oil, free of anything other than coconut. Organic ones are always the best. I bought mine from eBay (click here). Have you tried this treatment? Let me know what you thought? I've heard great things about this! I need to try it, you hair is amazing! Great to hear that you got along so well with the coconut oil. It is one of my favourites. 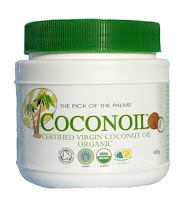 Ooh would definitely like to know where you got the coconut oil from, I think I was one of the people that mentioned it before, I but I am still looking for some myself, they always seem to be out at Holland and Barret and my local non-chain health food shop so any ideas would be great. I will have to try this! Great post, thanks girl. your hair looks fabulous, so healthy !